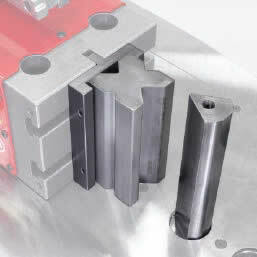 This auxiliary shop tool presents a horizontal surface for forming metal. The press itself has 20 tons of force. Enough for some serious forming. form, break and to straighten mild steel. 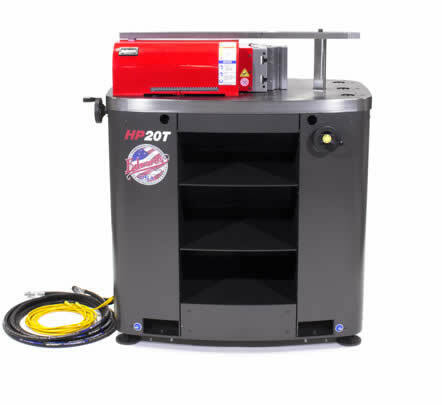 This shop tool uses a quick connect to either your Edwards Ironworker or Power Pack. With it in place you’re ready to form a wide variety of materia. This compact powerhouse is designed for maximum tooling flexibility. arbor punch to get you started. The potential of this tool is unlimited!